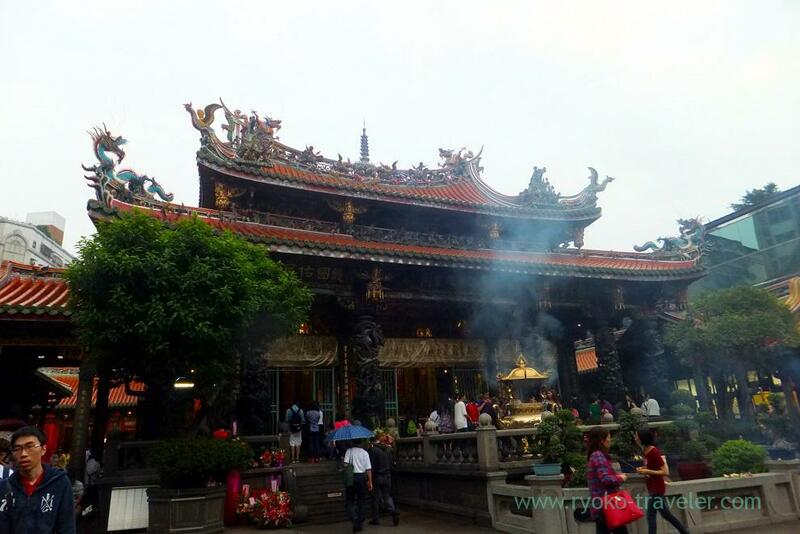 Longshan temple support throughout Taiwanese lives. 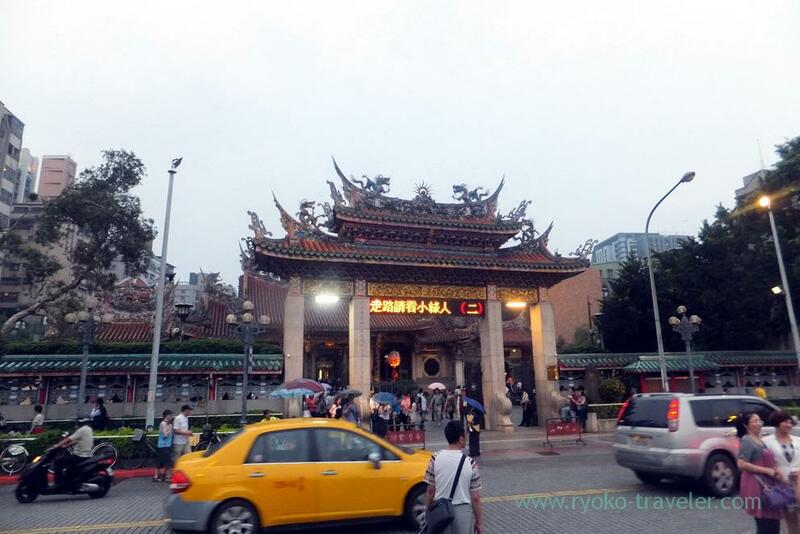 After I ate pepper bun at Fuzhou Shizu Baked Pepper bun, I visited Longshan temple. When I got to there, it was around 5 p.m. It slightly rained. 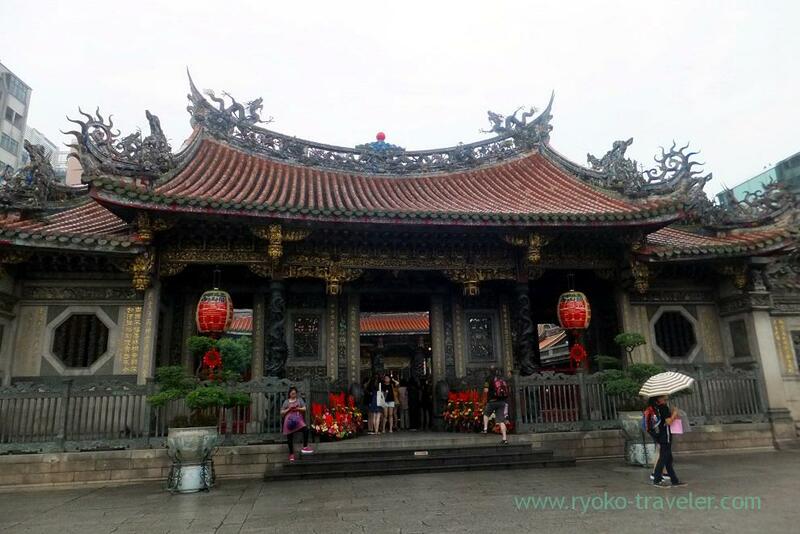 This Longshan temple is the oldest temple in Taiwan and it was built in Qing dynasty era. 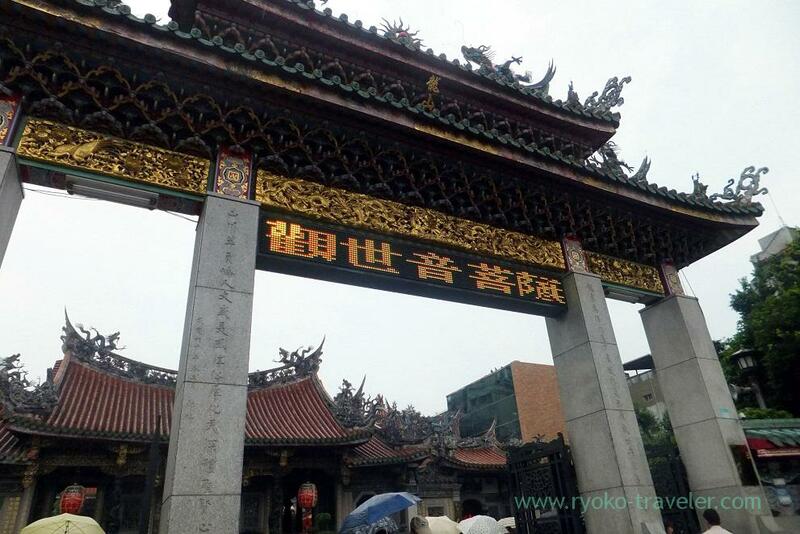 This temple is dedicated to Guanyin. 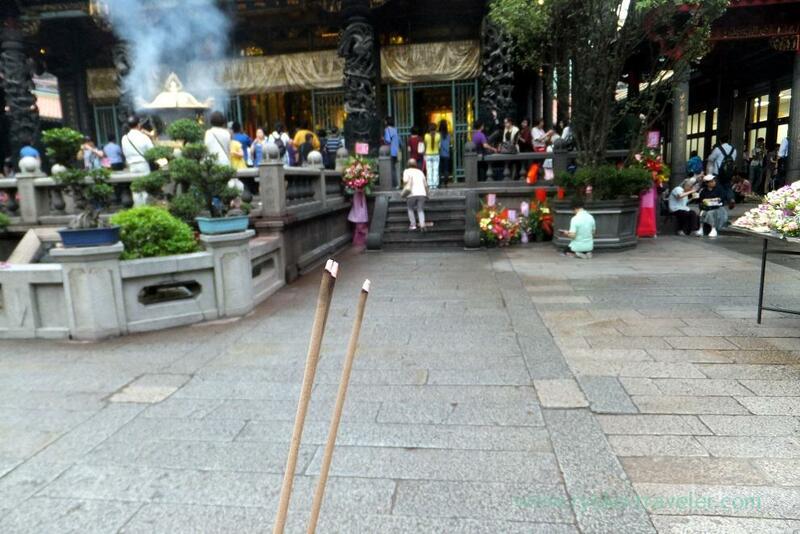 I walked around the temple for a while and then it got dark. Then the temple is illuminated. It looked gorgeous and had solemn atmosphere. 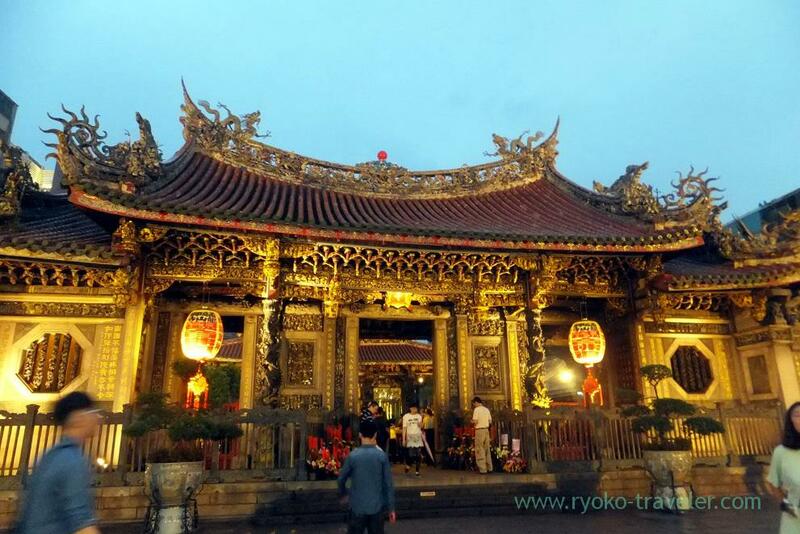 I want to visit there to see this illuminated temple whenever I visit Taipei !